What was in the February 2018 box? “Budgeting.” Every entrepreneur’s favorite word, right?! Probably not, but at Sparkle Hustle Grow, we think we found a way to make budgeting a little more fun, stylish, and efficient. February’s theme was money management, and our Sparklers received quite the #moneymakeover! As a business owner, you’re entitled to a variety of tax deductions. Amy takes our subscribers through a video series that not only explains deductions, but how to submit quarterly tax payments throughout the year and a void one giant, looming tax bill. Work Your Wealth: 9 Steps to Making Smarter Choices With Your Money by Mary Beth Storjohann, CFP ($12.99 value). According to the author, “Working your wealth isn’t something that happens overnight.” We all have to start somewhere, though, right? Mary Beth’s guide is all about facing finances stress-free, understanding and relating to money, and becoming more confident in budgeting and financial goal setting. “Let’s Do This” Notepad by J. Lynne Designery ($11.95 value). Repeat after us: “Drink some coffee, throw your hair up, and let’s do this.” Oh wait – our tribe sees this mantra daily on this fashionable notepad! With a header space for the theme and date of your day, this notepad makes creating and tackling a game plan enjoyable. The pages can be used on their own or in conjunction with the Content Empre Planner, because after all, list makers are gon’ list. Erin Condren Budget Book ($12 value). 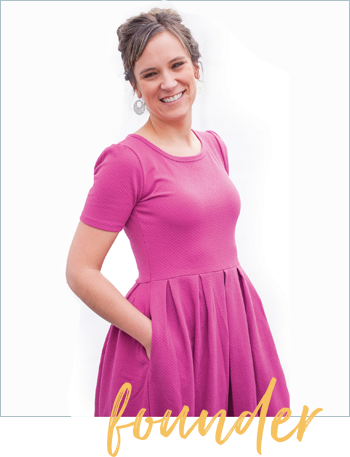 This wonderfully designed PetitePlanner™ includes twelve months worth of (stylish) financial planning and budgeting. With pages to plan out monthly finances and track monthly expenses, our #tribe is ready to give their budget skills a makeover. Plus, there is a sheet of gold stickers to mark off those extra important financial engagements (and did we mention it’s color-coded?). True, every smartphone/tablet/laptop comes with a calculator. However, working on one of these devices can cause a lot of distractions. A calculator that is, well, just a calculator can help you focus while you budget. Oh, and for all your mompreneurs out there: This cute calculator is shaped like a smartphone, so when your tiniest business assistants want to help you out, you have something to keep them busy. Hustle & Heart Notepad + Pen Set by Lady Jayne ($6 value). Anyone else work better when there’s a variety of pastels surrounding them? No? Just us? This adorable notepad and pen set is designed with calming, pastel colors and is the perfect size to fit in wristlets, purses, and laptop bags. We know that so many of you run a heart-based business, and this stationary set matches that! OxfordⓇ At Hand Note Card Zip Pocket ($5.31 value). It’s time to ditch the rubber-band that holds note cards together and adopt this plastic zip pocket instead. Bonus: The pocket includes 50 3” x 5” dotted grid index cards (who knew index cards could be cute?)! Whether you use the zip pouch for index cards, receipts, or daily gatherings (such as business cards), it beats the rubber band and keeps all of your items intact. Speaking of smart spending, that’s a box valued at $144.00 for as low as $39. 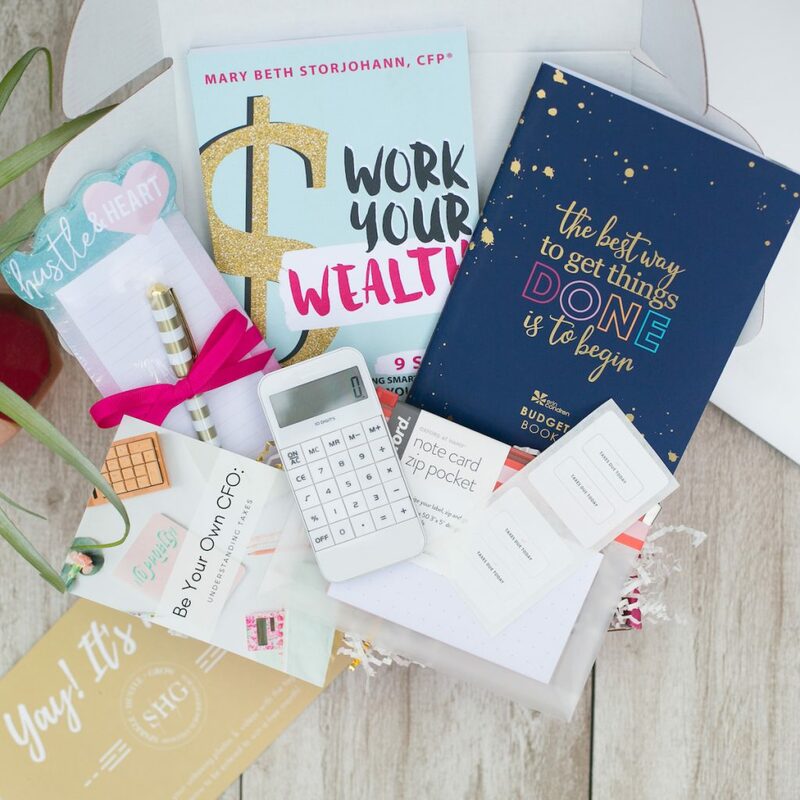 Our exclusive Sparkle Hustle Grow subscriber group will be buzzing with financial success stories thanks to the February box! Ready to join us in March? Check out founder/owner Julie’s unboxing video below along with our boxes, mini-mailers, and VIP subscriptions.